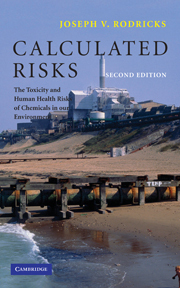 This book is about radioactive gases and particles which are dispersed in the environment, either from natural causes, or following nuclear test and accidental emissions. 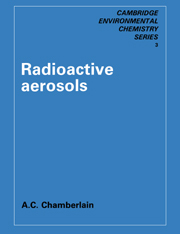 In the first five chapters of this book, the formation and properties of radioactive aerosols are described. Radon, which is of natural origin, is treated at some length, because its contribution to background radiation dose is important. 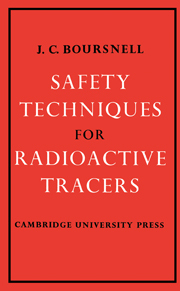 Chapters describe the release of fission products, tritium and plutonium, in bomb tests and nuclear accidents. 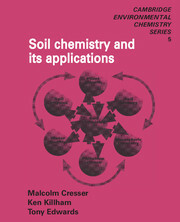 Particular reference is made to the pathways leading via agricultural products to man. 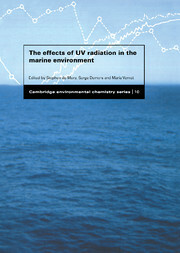 The emphasis then changes to cover experimental aspects of radioactive aerosols. For example, problems in micrometeorology, the study of mass transfer, the mechanics of the human lung and uptake of lead from motor exhausts. Arthur Chamberlain has worked at the Atomic Energy Research Establishment at Harwell for thirty years as the leader of the Aerosol Group. 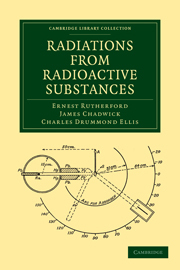 It is a unique exposition and will be used by chemists, geographers, environmentalists as well as governments and other agencies involved in the nuclear debate.